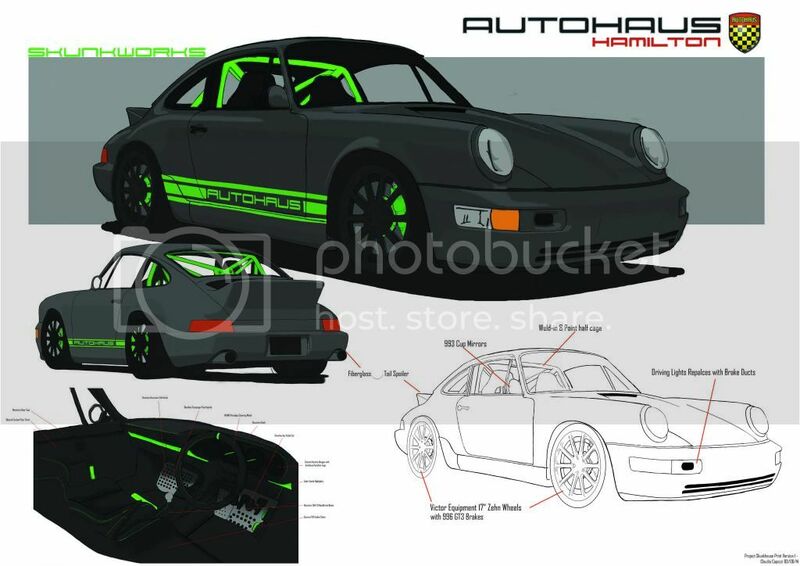 Concept builds have become a regular part of our daily duties, here at Autohaus Hamilton. Trying to keep up to date with each build and aligning its current stage with our projected timings isn’t an easy task, but an important one! This week saw our Skunkworks project arrive back at the Autohaus Workshop. With it’s very stealth, almost battleship grey paint job and custom 4 point roll-cage in a toxic highlighter green finished. Next step is getting the car ready for bodywork assembly and its elaborated engine build to start, including individual throttle bodies and a Motec ECU/injection. Another big project making waves is our 2.8 RSR build. After having just completed a full shell sand-blasting, stitch welding and a very elaborated weld-in cage. The cage itself now connecting front to rear strut towers, along with all suspension pick up points being strengthened and gusseted throughout. The chassis rigidity tailored to our customers' specifications, with all suspension components on order and Riviera Blue being locked in as the colour of choice. Next step is to prepare the body inside and out, paint and get it all happening for pre-assembly. With so many builds on the go, we're excited to document each build as milestones are reached and we get closer to completion of each custom build. Stay tuned!